For more information about our AC services, contact Service Plus today at 317-434-2627! We serve the entire McCordsville area, from 96th Street to 650 North. At Service plus, we can handle all the maintenance requirements for your system, according to the manufacturer’s specifications. Contact us today for maintenance in the McCordsville area! We feature fully-stocked service trucks, and most repairs can be completed in the first visit. Contact us today for repairs in Gateway Crossing, Deer Crossing, or anywhere else in McCordsville! Whether you are installing a new system or replacing your current air conditioner, our team at Service Plus can provide comprehensive installation services. Our detailed installation process helps to ensure that you new system will perform efficiently and reliably for many years with proper care and maintenance. To request an installation quote, contact our team today! 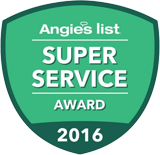 Whether you need a few repairs or an entirely new system, you can trust our team at Service Plus for prompt, reliable, and professional AC services in McCordsville and the surrounding areas. To schedule an appointment, contact our team at 317-434-2627 today!